Just 10 minutes away from the heart of Osaka City is the quaint little town of Yao. Though it seems like any other small town today, in ancient times it was full of large temples and temple complexes. Among those famous temples that remain today, Joko-ji is easily the most famous. What’s more is that Joko-ji is where one of Osaka’s famous Bon Odori originated, the Kawachi Ondo. The very famous (and Osaka native) monk Gyoki built Joko-ji during the reign of Emperor Shomu in the Nara Period. Joko-ji is commonly known as “Yao Jizo” because their main deity is Jizo Bosatsu, the savior of children. Joko-ji’s statue of Jizo Bosatsu was allegedly made by Ono no Katamura in the Heian Period. The statue is usually sealed away inside the temple, but they display it every year on August 24th. 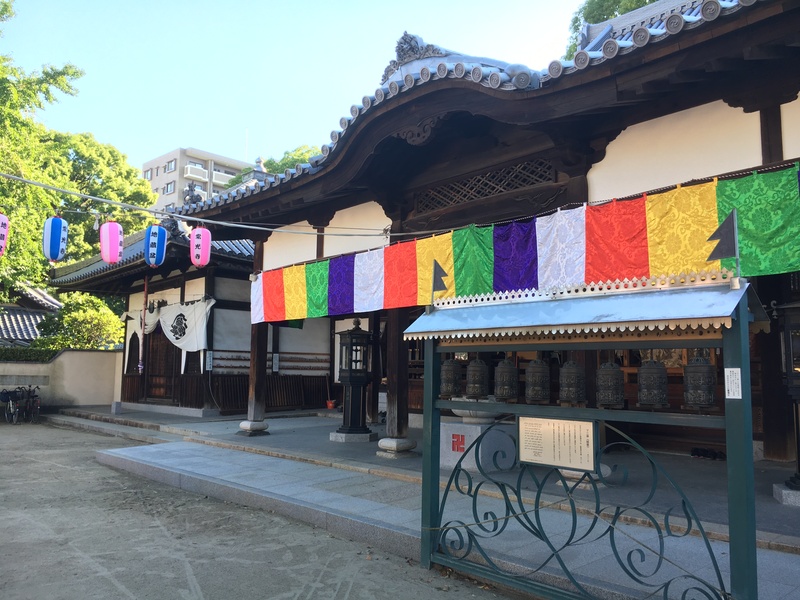 As stated, this temple is very famous for its Bon Odori, the Nagashi-bushi Seicho Kawachi Ondo. 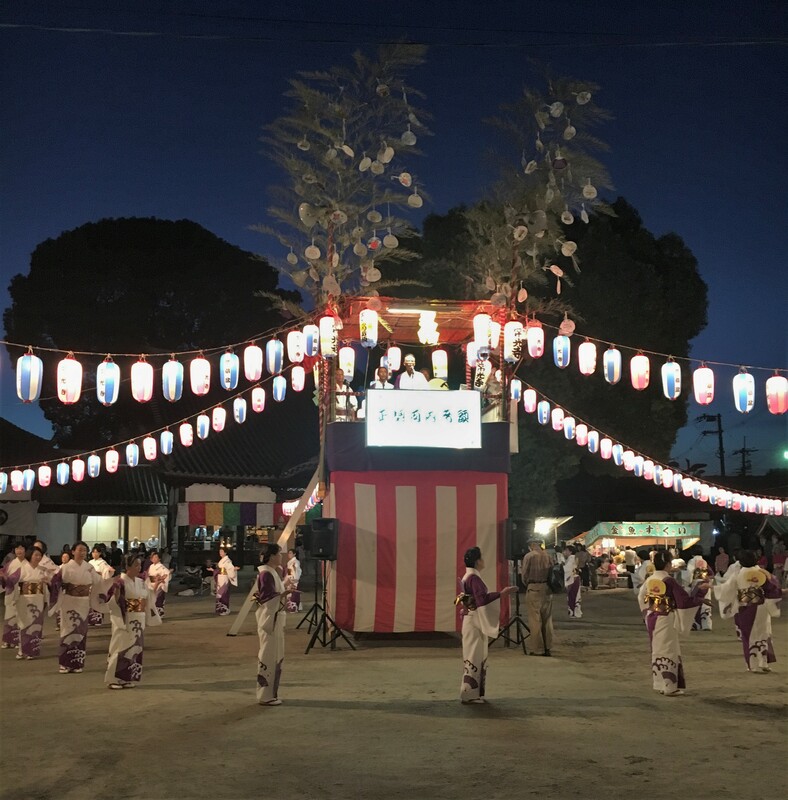 The Nagashi-bushi is a very old tradition and many people gather in the temple to dance every summer on August 23rd-24th. This style of Bon Odori is only found in Joko-ji, so if you are lucky enough to be in the area, you should definitely go see it! If you are savvy about Japanese holidays you are familiar with Urabon-e [盂蘭盆会], better know as O-bon. During this festival, Japanese people welcome back the souls of their ancestors, spans from August 13th to August 16th. 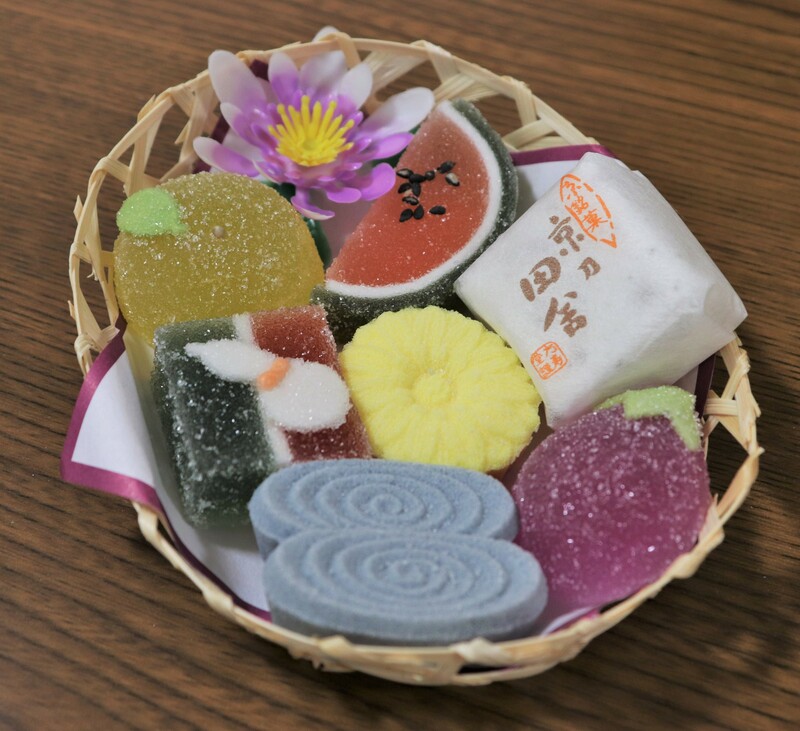 During Uraebon, people leave various kinds of foods out for the souls of their ancestors. Today, sugar version of those foods are also common. There are many variations of Bon Odori, O-bon dances, but these dances mean to welcome the spirits of their ancestors. Technically, the Kawachi Ondo is not for welcoming ancestors, but for Jizo Bosatsu. It makes sense then, that the Kawachi Ondo only takes place in Joko-ji on Jizo-bon. In Buddhism, the 24th of every month is a special day for Jizo. The dates of August 23rd and 24th known as Jizo-bon because they are so close to O-bon. During Jizo-bon, communities clean and change the bibs of the Jizo statues in the neighborhood. Because Jizo aids the souls of dead children, this festival is not for deceased adults, but for children. Kids from the community gather around Jizo statues and monks perform special prayer for the Jizo. Afterwards, there was usually something akin to festival, where the children could play games. 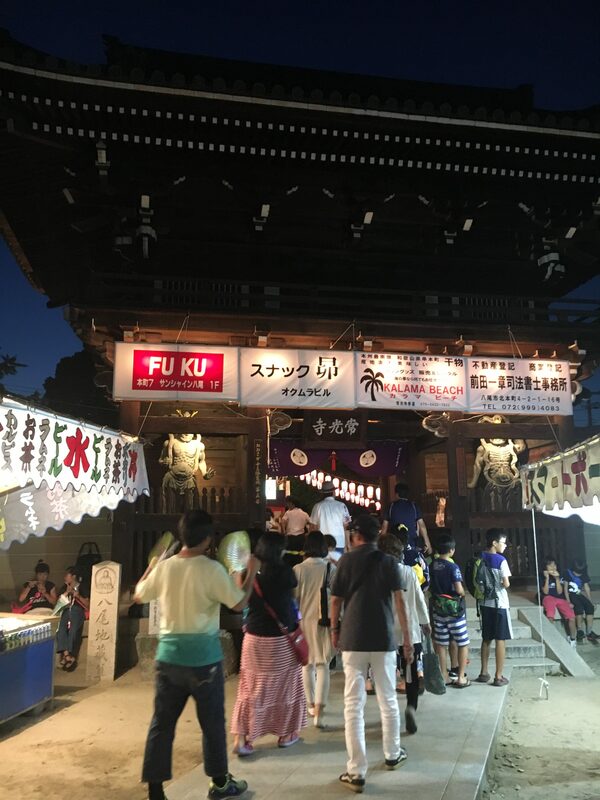 Over time, places like Joko-ji began performing Bon Odori during Jizo-bon, eventually becoming what it is today. If you have never heard of Jizo-bon before, you are not alone. 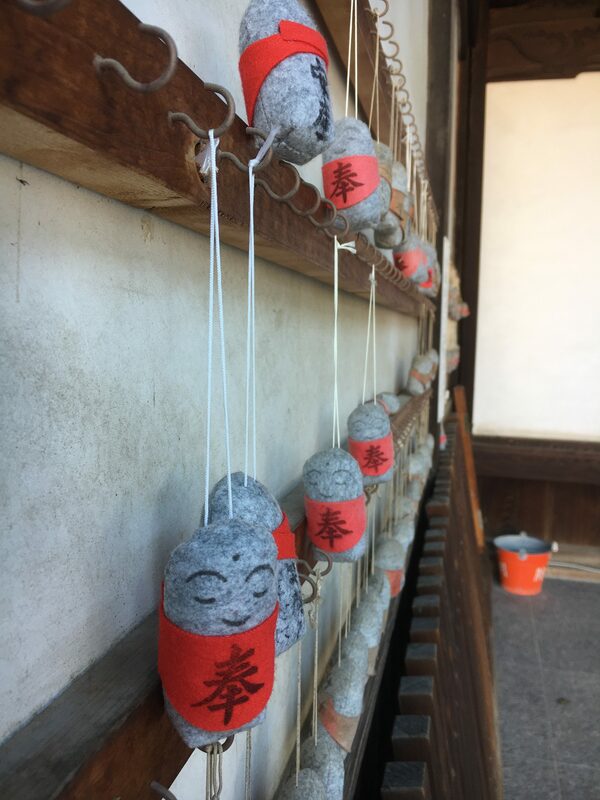 While Jizo-bon is very common in Kansai region, this is all but unheard of in the Kanto region. Unlike other Bon Odori, Nagashi-bushi does not have any fixed songs. Instead, they “read” old folktales to the music. Nagashi-bushi originated during the reconstruction of the temple in the Muromachi Period as workers carried lumber from Kyoto. This means that this bon odori has 600 years of history. In its heyday, the Nagashi-bushi was quite popular throughout the Kawachi region, but today it is only preformed in Joko-ji. For this reason, the Ministry of the Environment chose Joko-ji’s Nagashi-bushi as part of it “The Best 100 Sound of Japan”. The Nagashi-bushi takes place in the evenings from 7 to 9. Feel free to come and participate! Just watch the dancers a few times to get the basics first. The music, and the dance itself is very calm and relaxing. 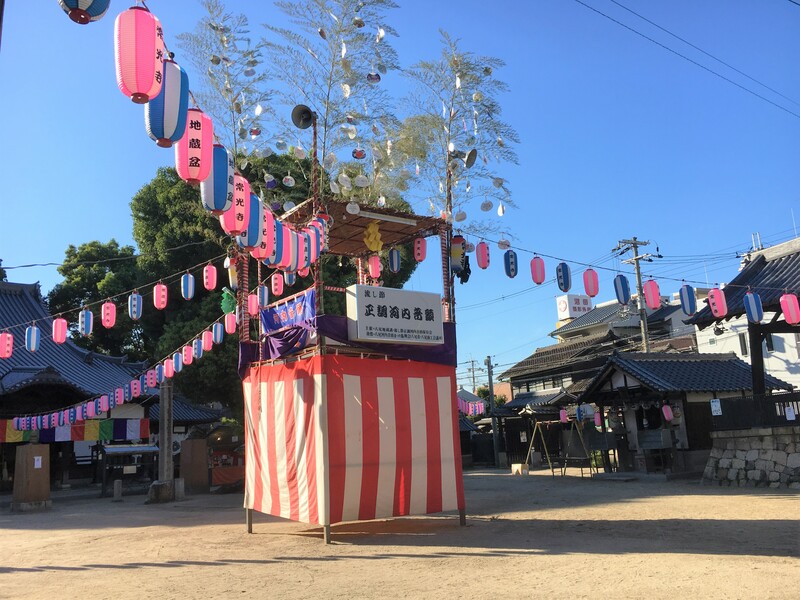 After 9 o’clock, the modern version of Kawachi Ondo takes place. This version of the Kawachi Ondo is actually very famous throughout Japan and is usually what people think of when they say “Kawachi Ondo”. 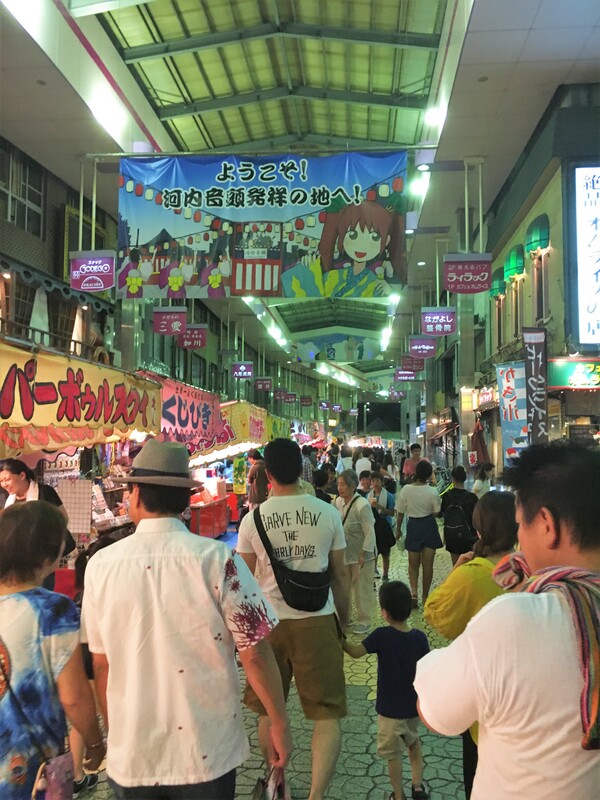 While some think that the modern version originated from the Nagashi-bushi, it is more likely that instead it is a combination of several different kinds of Bon Odori in the Kawachi region of Osaka. One of the major features of Kawachi Ondo is that the music often changes. The songs and the dances are much more energized than the Nagashi-bushi. However, the most significant element is the music often combines many new styles like rock or jazz. This combination of the traditional and modern, makes the Kawachi Ondo very popular among young Japanese people. The tallest building in Japan, Abeno Harukas!